I wasn't too excited when a work friend suggested lunch at Good Buddy South, though I was still happy to be trying a new restaurant. Good Buddy seems to be a rather popular Chinese chain here, but I've never been tempted to visit because the stores look so run-down and I knew the food would be sloppy. And I was right. The food was very sloppy, but the portions were huge and you can't beat the prices. For only $8.99, I got a large dish of chow mein, a good-sized bowl of congee, and a hot milk tea. 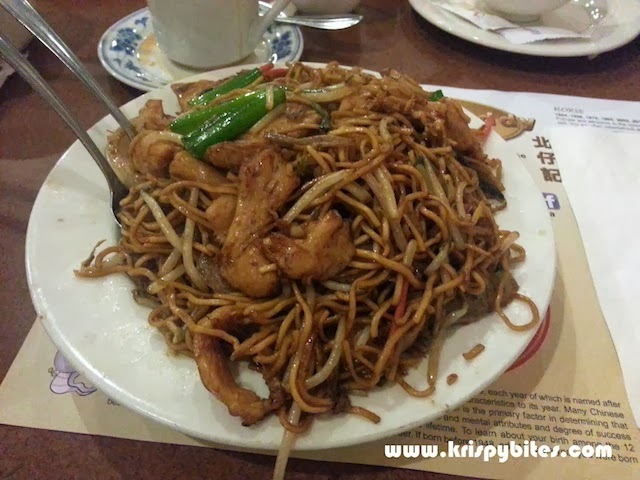 The chow mein wasn't good by any means, but it was so big that I had to pack more than half to go. The congee of the day was pork and century egg. The century egg tasted a bit sour... 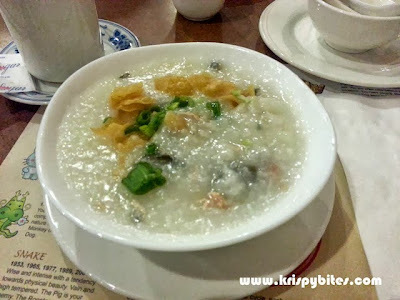 The congee was fluffy, but perhaps a bit too much so. It wasn't a creamy kind of fluffy, but more of a mushy kind. 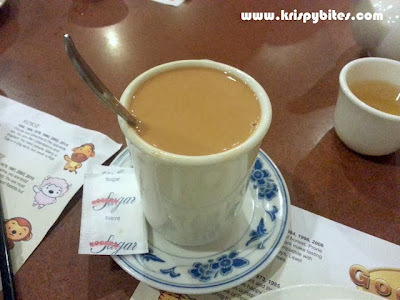 The milk tea was average — just your typical run-of-the-mill HK style milk tea. Not my cup of tea, but this is definitely the place to go for huge portions at cheap prices. Quality is sub-standard though, so don't have any expectations other than leaving with a full stomach.